MLB is experiencing a major youth movement. We are seeing more 19- and 20-year-old players called up to the majors. As a result, some of them start to develop into stars by the time they are 23 or 24. It means baseball’s future is especially promising. With so many young, exciting players all around the game right now, it provides fan bases with players to watch and love for the next decade. While there is a plethora of young talent, some players specifically stand out. Young athletes who represent this game’s present and future. They are future MVPs, Cy Young winners and could one day be inducted into the Hall of Fame. Here are the top-25 players 25 and under as of July 11. If not for a recent skid and a lengthy stay on the disabled list, Acuna could have ranked higher on this list. The 20-year-old made his MLB debut on April 25 and in his first 29 games, he had a .779 OPS and showed flashes of a future perennial All-Star outfielder. He missed the next month with a mild tear of his ACL then came back on June 29. In the 10 games since, he has a .762 OPS. There will be some bumps along the way for Acuna, but he possesses a future MVP-caliber hit tool and will be the face of this organization for years to come. Minnesota once had three of the game’s best, young players. Unfortunately, they are now done to one after third baseman Miguel Sano and center fielder Byron Buxton were sent down to the minors due to repeated struggles. Even without them, Minnesota can be excited about Berrios. The 24-year-old continues to improve and now owns a 3.41 ERA and 122 strikeouts in 121.1 innings this season. He has a 2.87 ERA in his last six starts as well, so the best may be to come for Minnesota’s ace. More recently, Hoskins has returned to the player we saw to in 2017. 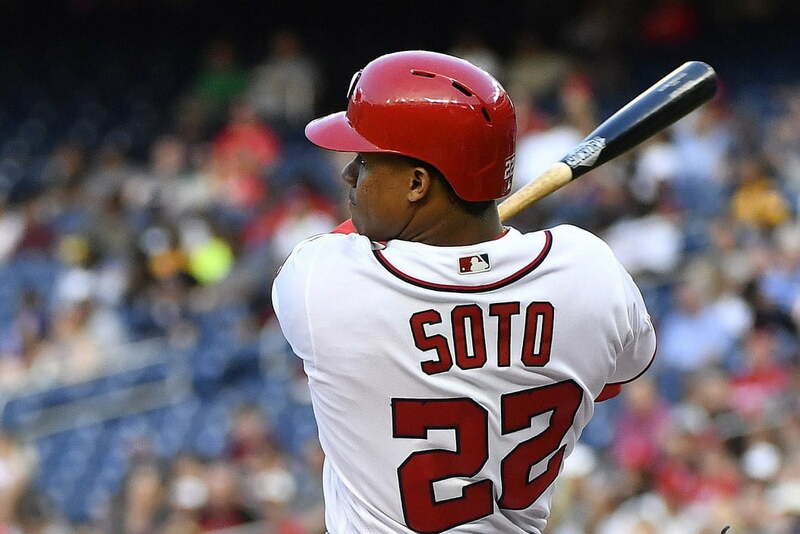 In 29 games, the 25-year-old has a .296/.376/.565 slash line with eight home runs and 28 RBI. Capable of playing the corner outfield or first base, Hoskins should be an excellent threat in the middle of Philadelphia’s lineup for years to come. Even if Hader’s days as a starting pitcher are over, the southpaw remains one of the game’s brightest, young stars. While he was brilliant in 2017 with a 2.08 ERA and 0.99 WHIP, the 24-year-old has taken it to a new level this season. This season, Hader has struck out 85 batters in only 46.1 innings. 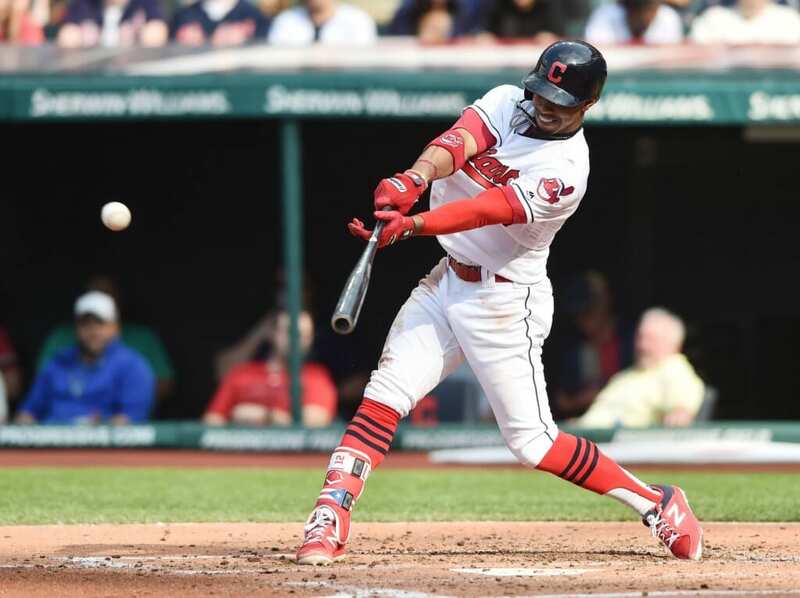 His dominance goes beyond the strikeouts as his 0.82 WHIP is one of the highest marks in baseball and opponents have just a .441 OPS against him. 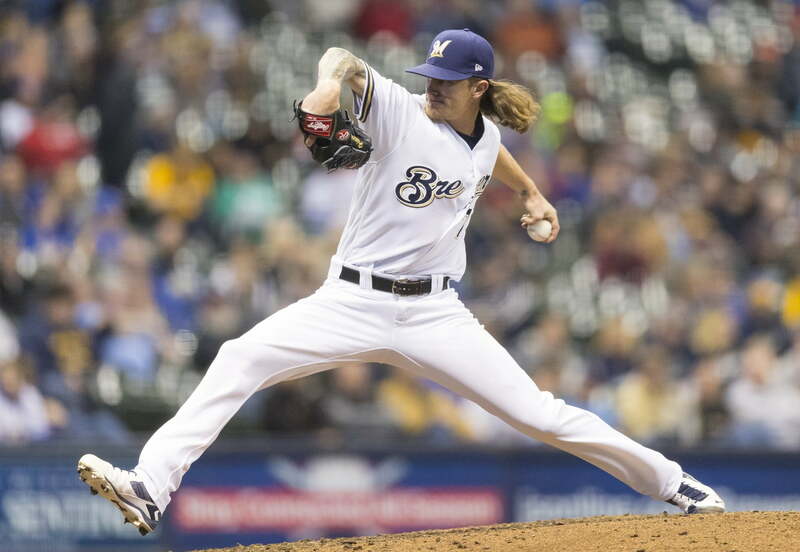 While he may not be racking up saves or starts, Hader is Milwaukee’s best pitcher. While Bellinger isn’t going to come close to his statistical achievements from 2017, he does remain a prominent bat in the Dodgers’ lineup and one of MLB’s young, impact hitters. The 22-year-old .324 OBP and .809 OPS are a sizable drop from last season, but he posted a .370 OBP with a .994 OPS in June and the turnaround could be nearing. His ability to play center field makes him an even more special player and keeps him among the top-25 players. While Bogaerts is now often overshadowed by a flurry of other young players, the 25-year-old is enjoying a career-best season at the plate. New York waited patiently to find the right time to bring Torres up and ever since he joined the club, he has become one of New York’s best players. Since being promoted on April 22, the 21-year-old registered a .905 OPS, 15 home runs and 42 RBI in 63 games. What makes his numbers even more incredible is 159 of his 218 at-bats came at the bottom of the batting order. He has surpassed Gary Sanchez as the young, cornerstone bat for this organization and his All-Star selection is one of many to come. While it may seem early to put a 19-year-old with fewer than 50 games in the majors up here, Soto is a special player who is more than deserving of this spot. In just 157 at-bats, the 19-year-old outfielder has hit nine home runs with 28 RBI and a .980 OPS. He would rank eighth in baseball in OPS if projected over a full season and he is doing things we’ve never seen from a teenager before. It might only be a matter of time before he vaults much higher on this list. After a highly disappointing season in 2017 in which he only contributed 59 RBI and a .782 OPS in 129 games, we’ve seen a transformation from Schwarber this season. The 25-year-old is now one of the better defenders in left field, his OPS (.873) is on the rise and he has nearly walked as many times this season (52) as last season (59) in nearly 200 fewer at-bats. On pace for 30-plus home runs, 90-plus walks and high grades defensively, Schwarber’s star is on the rise in Chicago. On pure talent alone, Syndergaard belongs much higher on this list. Unfortunately, injuries have derailed him the past two seasons and have kept us from watching one of the game’s best pitchers. When healthy, Syndergaard is special. Over his last 18 starts dating back to 2017, the righty has struck out 110 batters and allowed just 16 walks. His 3.03 ERA since last year is outstanding and with some of the fastest and nastiest pitches in the game, watching him is a gift. Now we just have to hope he can finally stay healthy for an extended period of time. While Chapman’s offensive output isn’t especially noteworthy, what he does with the glove will leave you speechless. His 10.3 Defensive Runs Above Average and 2.4 Defensive Wins Above Replacement leads all third baseman this season. The 25-year-old still offers plenty of pop with 10 home runs and has set a new career-high with a .343 OBP. If the bat can show further signs of progress, Oakland has a star on its hands. Nolas has quickly turned into one of the league’s best, young hurlers. He ranks fifth among qualified starters in ERA (2.27), seventh in WHIP (0.98) and is tied for fourth in quality starts (15). He is rolling hot in July with just eight hits and one run allowed in two starts as he works to keep Philadelphia in the N.L. East race. While this will be the first season he surpasses 200-plus innings, Nola is already performing like Philadelphia’s ace. He is someone opponents don’t want to face in the postseason. This is the year fans in Atlanta desperately waited for and the rewards have quickly come in for the franchise. Albies, who started the season hot and then cooled off in May and June, is on fire again at the plate. In the last 30 days, Atlanta’s 21-year-old second baseman carries a .361/.384/.556 slash line with a .940 OPS and 10 doubles. 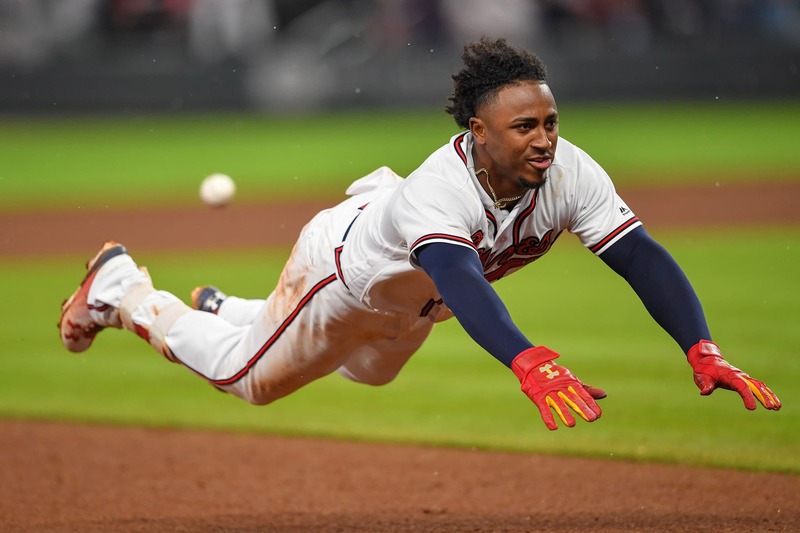 Even as the power numbers drop, we should see Albies maintain the high slash line and be Atlanta’s perfect leadoff man to set the table for its offense. In the midst of Washington’s unexpected collapse this season, Turner remains a bright spot for the Nationals. Known for his lightning speed on the base paths, the 25-year-old shortstop is showing there is much more to his game. The shortstop’s 22 stolen bases this season are outstanding and should help him surpass 40 swipes this season, but his OPS and power can’t be ignored. Turner is capable of 20 home runs in a season and with a little extra power in the second half, he could achieve a 20-40 season with an .820-plus OPS. If Ohtani returns to the mound this season, he instantly becomes a top-three player on this list. The 24-year-old’s combination of elite stuff on the mound with an All-Star bat made him the most exciting player in the game. Until we see him back on the mound, we have to treat him purely as a hitter. Even when limited to just one part of his game, his .866 OPS, seven home runs and .355 OBP show just a fraction of how good he can be. This is a do-it-all player with lightning speed, elite power and a great hit tool. On almost any other team, Benintendi would be their best outfielder and star attraction for the fan base. In Boston, he lets Mookie Betts take the spotlight as he just keeps putting up great production. The 24-year-old’s OPS has risen sharply this season from .776 in 2017 to .903 in 2018. As he matures as a player, he is achieving more power production and learning to pick his pitches better and know when to steal bases. As a result, Benintendi is on pace to achieve a .290-plus BA, .900-plus OPS and 25-plus home runs and stolen bases. If Boston ever parts with Jackie Bradley Jr., Benintendi could step into center field immediately. There was a time when Baez was one of the most overrated players in the game. People saw a few splash plays and a scattered home run or two and just assumed he was a star infielder. Now reality has finally caught up to the hype. The 25-year-old will start in this year’s All-Star Game and it is greatly deserved after he slashed .288/.323/.552 with 17 home runs, 17 stolen bases and 65 RBI on the season. He is a strong defender in the infield who will make a flurry of highlight plays and now has helped him earn the title as one of the best at his position. 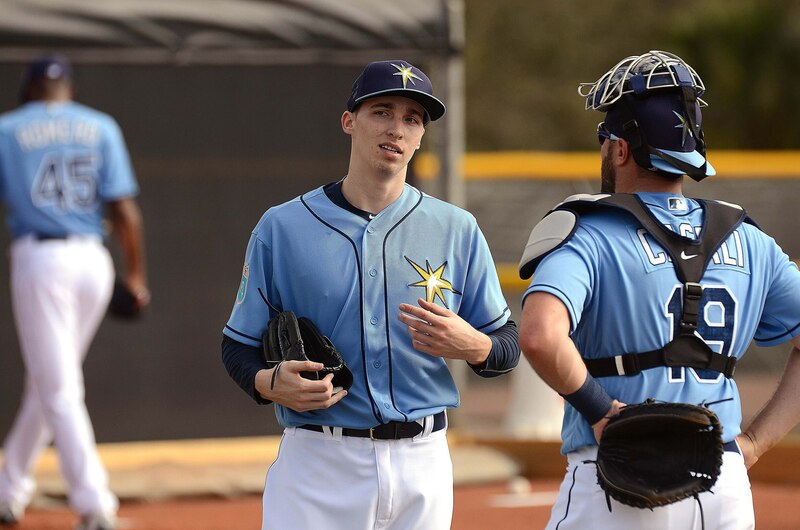 The biggest snub left off this year’s All-Star roster, Snell turned his career around in a matter of months. After being optioned to Triple-A Durham last July, he has now become one of MLB’s best pitchers. Tampa Bay’s 25-year-old southpaw has the third-lowest ERA (2.09) in the majors, is top-10 in quality start percentage (74 percent) and he’s doing all of it in the A.L. East. This is the player every team in baseball should want, but the Rays will wisely keep him this year. Now MLB needs to just recognize one of its brightest stars must be on the All-Star roster. After it took Bregman 155 games to reach 19 home runs last season, the 24-year-old has made much better time to reach the mark this season. Houston’s star third baseman needed just 91 games to reach 19 homers. Along with the increased power came a .915 OPS, a .384 OBP and an even 53 walks and 53 strikeouts on the year. The former Louisiana State University standout has given Houston everything it dreamed of and even more production should be coming in the future. Correa’s name has been out of the spotlight for a little while now, but that’s due in part to a recent trip to the disabled list. Before his brief absence, the 23-year-old showed why Houston is so fortunate to have an elite, young core in its infield. While his .832 OPS is a drop from last’s season career-best .941 mark, Correa’s 49 RBI and 13 home runs in 73 games made him a potential MVP candidate. He should return soon to the active lineup and when he does, his transcendent talent will take the Astros to another level. Oh what a season to forget it has been for Harper. Talked about as the man who would land a record-setting contract in the offseason, Harper is instead facing a major hit from his expected earnings. Yet even in a season with just a .213 batting average, the 25-year-old can still match power with the best of them. If he can even post a .250-plus batting average in the second half, Harper’s numbers could skyrocket back up and allow him to finish with 45-plus home runs and a .950-plus OPS. Severino has made New York City his own. Despite making his home starts in one of the most hitter-friendly stadiums in the U.S., the 24-year-old dominants nearly every time he takes the mound. It goes far beyond New York’s 19-2 record in his starts, though it is just another sign of how phenomenal he has been. He is third in the A.L. in ERA (2.12), sixth in strikeouts (143) and opponents hit .198 off him. 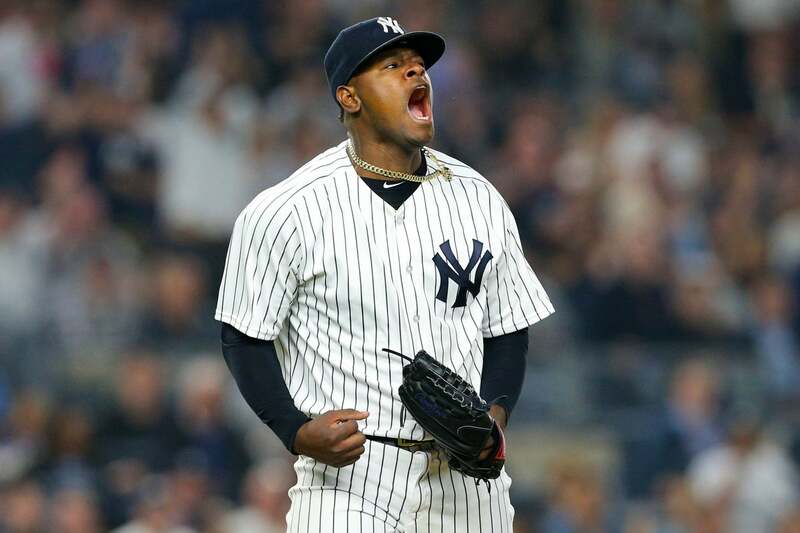 New York has its ace and an outstanding lineup, now it just needs a co-ace to pair with Severino for a 1-2 knockout punch in the postseason. The man who continues to improve year after year yet is still underappreciated by the game. Ramirez is a treasure to watch on the field and is one of the rare players capable of pulling off the triple crown. While the 25-year-old’s .290 batting average will leave him short of a shot at history this season, he is second in home runs (25) and 12th in RBI (65) this season. Now we wait to see if he can finish the season in rare company with 35-plus stolen bases and home runs. Not only is Lindor one of the most gifted defensive players in baseball, but he also has the offensive output to match with it. The 24-year-old is in a class of his own at shortstop as he leads his peers in home runs (24), doubles (28), WAR (5.1) and is third in hits (109). While Manny Machado may be equal to Lindor in terms of offensive output, Lindor leaves him in the dust in defensive ability. Cleveland has two of the best, young players in baseball. Now they just need to add more help around them to make this club a dangerous threat for the World Series. Whether he is robbing a home run or dazzling social media with home runs, Betts is a pure sensation. When one of the game’s most tenured managers calls Betts the best right fielder he has ever seen, you know there is greatness. If not for a stint on the disabled list and another historic season from Mike Trout, Betts would be the favorite for MVP. The 25-year-old still continues to obliterate opposing pitchers with a league-leading .346 batting average on his race for a batting title. On pace for 40-plus home runs, 30-plus stolen bases and 1.100-plus OPS, it seems unthinkable that there could be more to come. He is the best player 25 or under and he still may not have even reached his ceiling yet. With Benintendi, Bogaerts and Rafael Devers, the future in Boston is extremely bright.